This client recently updated their master bedroom to include more muted tones and sleek lines. 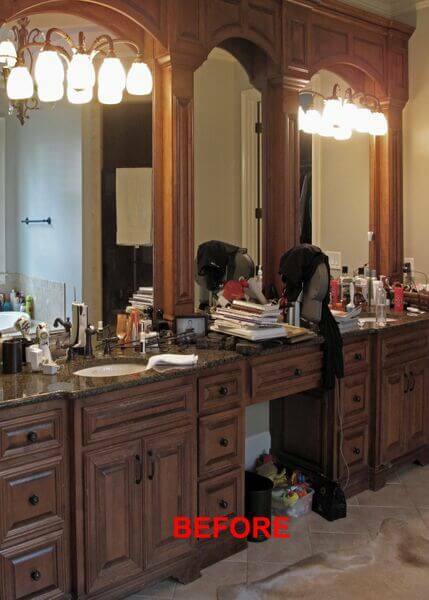 A master bath is usually considered an extension of the adjoining bedroom. 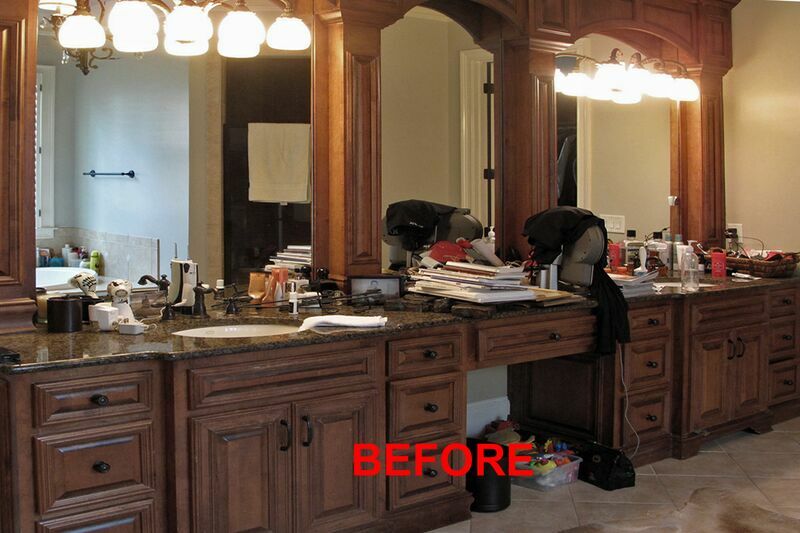 It soon became apparent that we needed to turn our attention to the bath and address the flow of both color and style. 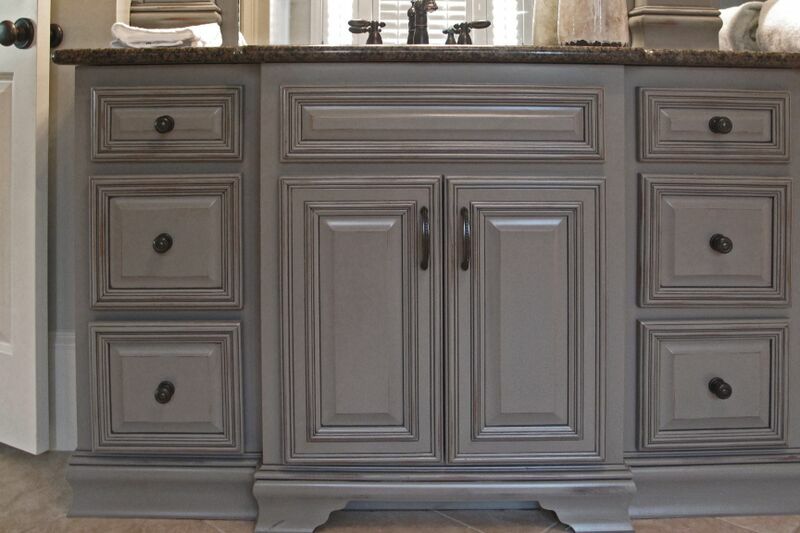 Painting over finely crafted wood cabinets is a decision that requires a great deal of thought. After 12 years, even these lovely cabinets looked tired and were due for some kind of attention. A finish was selected that would intentionally allow some of the wood to show through. Without making them appear too rustic, only a few of the high points were allowed to remain in the wood tones. This also enhanced the architectural details of the doors while maintaining a sleek appearance consistent with the new style of the master bedroom. Notice how even the hardware stands out better on the lighter color. 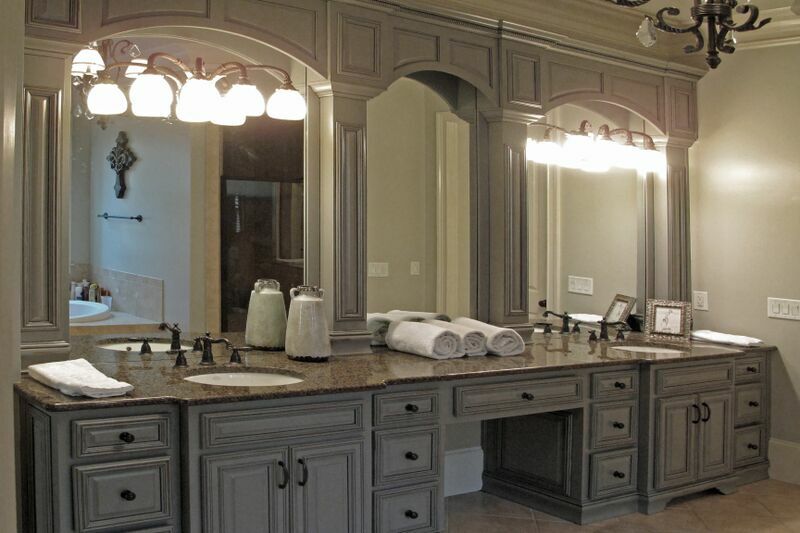 The key to successfully painting cabinets is to utilize a quality process. 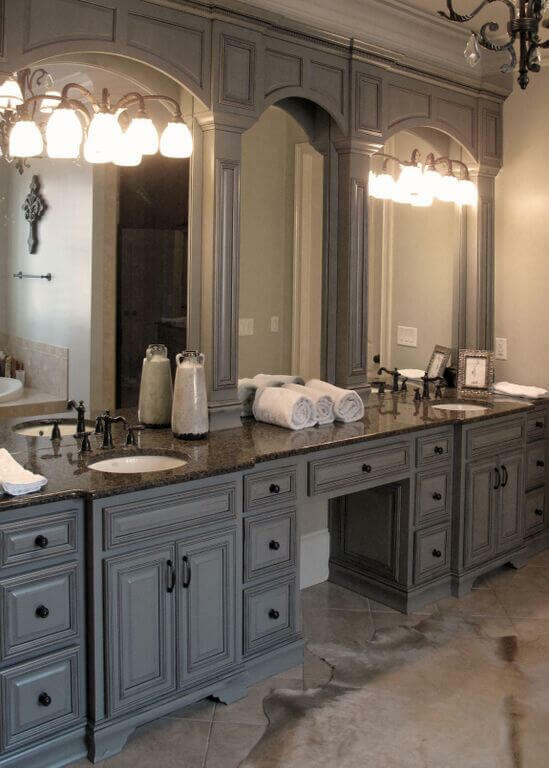 Especially in areas with high levels of moisture and humidity like a bathroom, it is important to utilize a catalyzed lacquer finish for durability. Refinishing these cabinets has given this master bathroom a fresh and updated appearance while the subtle suggestion of wood remains. 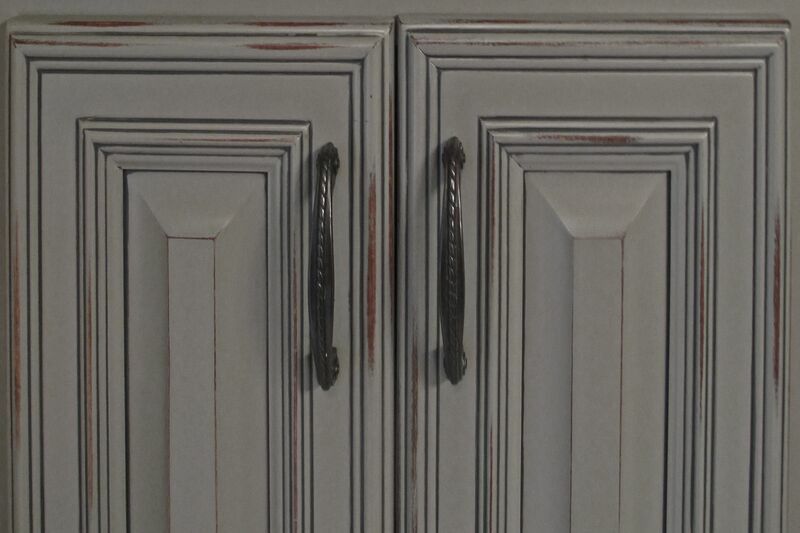 Special thanks to interior designer Belinda Giddens of Outrageous Interiors in Suwanee, GA.
To see more examples of Atlanta cabinet refinishing, please visit our Cabinetry gallery. 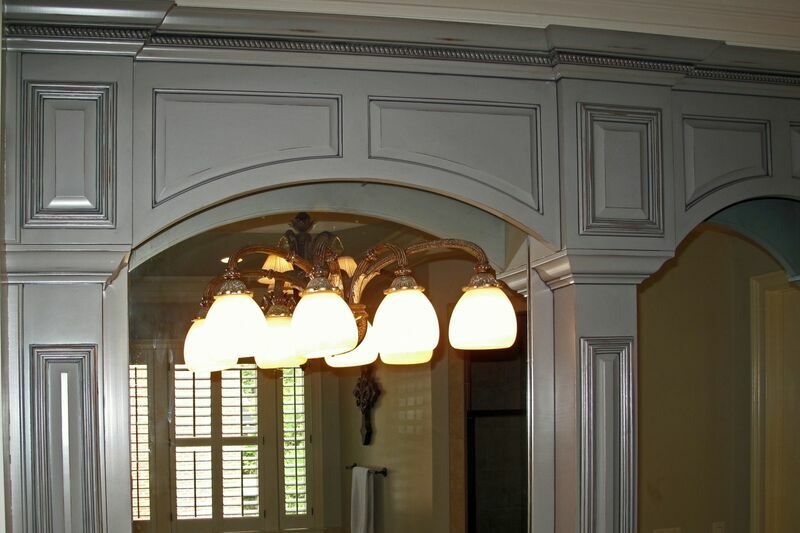 Contact us today to learn more about our faux finish and decorative painting services.